We are excited to introduce you ladies to a new Clemson alum owned boutique, All Inspired Boutique. 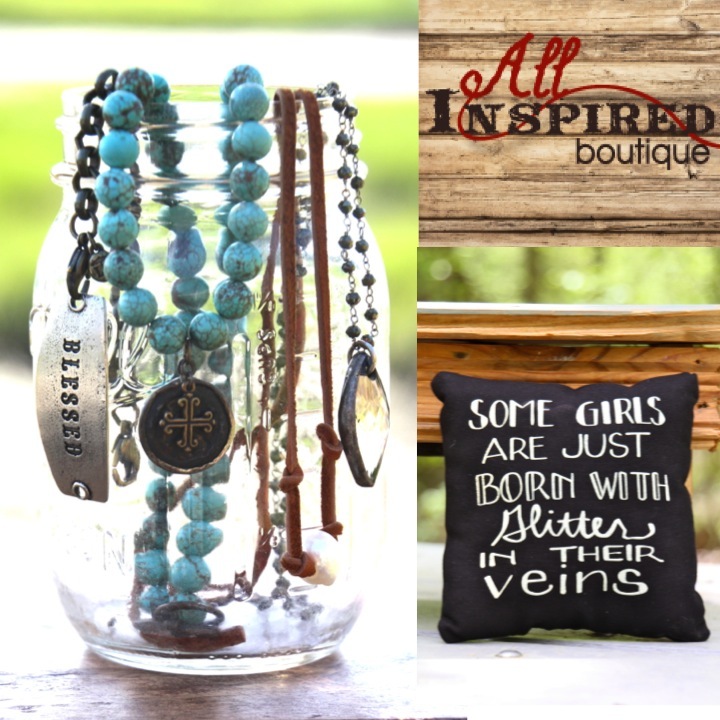 All Inspired Boutique has everything from sassy to grateful, from handpicked jewelry to burn out tees, from signs that make your heart sing to an inspired line for just for girls! For All Inspired Boutique online boutique, it's all about being strong, being true, and most of all- showing your heart. You can shop the online boutique 24/7 and find lots of handcrafted and unique products. 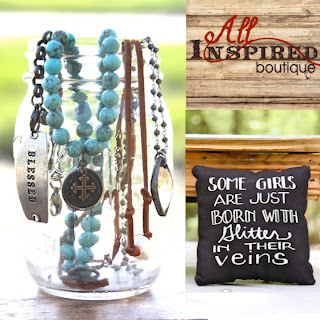 All Inspired Boutique was started by Clemson alum Melissa Cherry. She is a third generation Clemson Tiger - her grandfather graduated in '26 and her father in '62. She met her husband, Walt, at a KD/Pi Kapp mixer at Clemson, and they are both proud Clemson grads. Their two children bleed orange just as much, and they are raising them right and making it to as many games as they can. Melissa's husband and two kids in all their Clemson glory! 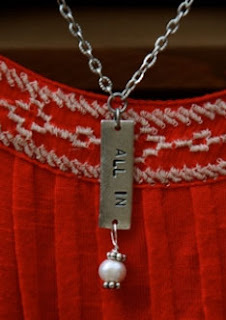 Since All Inspired Boutique is owned and operated by a die hard Clemson Girl, then it's no surprise that the boutique carries a special line of 'All In' Clemson jewelry and other fun Clemson items. 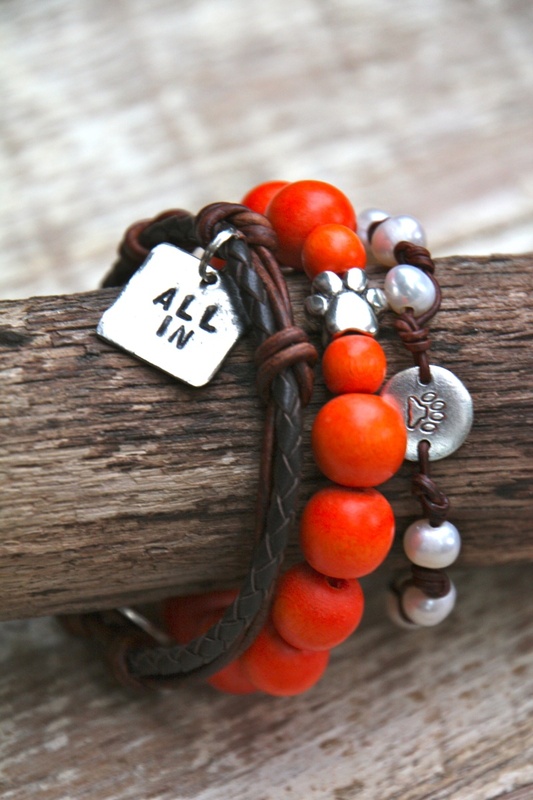 This 'All In' gameday handcrafted jewelry is unique and would be perfect to accessorize any Clemson gameday outfit. And how amazing is this custom-made Clemson sign? All Inspired Boutique would like to give all Clemson Girls everywhere 15% off of their online orders by entering ALLIN in the coupon code through August 31 (flash Sale items excluded). If you were at the Ladies Clinic two weekends ago, you probably visited the All Inspired Boutique's table and got to see all of these great Clemson products in person! Melissa says, "Clemson is just a special place, a special feeling, and being able to work with local Atlanta artists to create these custom pieces for our Tigers and to see how much everyone LOVED them, well let's just say that has been priceless. We are excited to do this special giveaway for all the Clemson girls out there- a little ALL INspired style to rock this football season." All Inspired Boutique has generously offered to give one very lucky Clemson Girl reader one of their ALL IN Tiger gameday bracelet stack from their "All In" gameday jewlery line. Deadline for entries is midnight tonight, Monday, July 29. We will randomly draw a winner on Tuesday, July 30 and contact the winner by email. The winner will have 48 hours to reply to our email or we will draw a new winner. A big, special Clemson Girl thanks to Melissa and All Inspired Boutique for sponsoring today's fabulous giveaway! All are very nice! Love some Clemson! The Clemson Rustic sign is my favorite! but its all awesome! Loving all the Clemson! The sign is my favorite- would be a great gift! Will be perfect for gamedays!!! I am so glad you showed this company. Their stuff looks amazing! Would love to win and show my "all in" spirit! I love these unique pieces of jewelry! I don't tend to wear "traditional" pieces - I love handcrafted! These are perfect! I love them all!! I can never get enough Clemson accessories!! I love the bracelets! 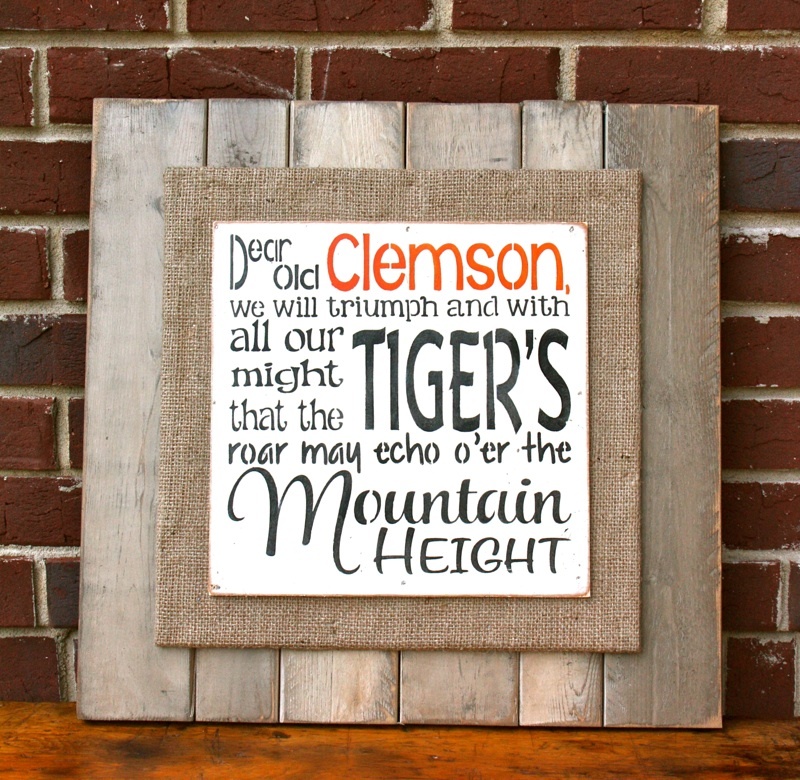 But I MUST have that Clemson rustic sign!!! I love, love, love the All In bracelet. Clemson Tiger Stack bracelets! Love it! I love the All In stack bracelet! So cute! I love the stack bracelet! I love the stacked bracelet! :) go Tigers! 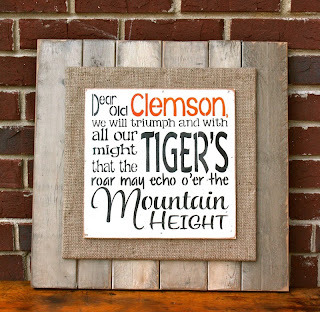 I love the game day jewelry but I believe the Dear Old Clemson rustic sign is my favorite thing! Saw this at Ladies Clinic and loved it!! I absolutely love everything! There is not one favorite thing. The bracelet and the sign - I can't decide which I like more. I love the custom Clemson sign!! Love that the bracelet is so classy and fashionable!!! I love the all in stack bracelet! I LOVE the All In Stack! I love the all in charm bracelet!